The US telecom providers, AT&T and Verizon Wireless announced the prices for the new iPhone 5 smartphone released by Apple in San Francisco on September 12. The release date for iPhone 5 on Verizon Wireless will be next month, in October 10, according with Verizon Wireless website. The price for new Apple smartphone starts at $200 with 2-year contract for version of iPhone 5 4G LTE 16GB, and increases gradually to $299 for version with 32GB and $399.99 for version with 64GB internal storage. New customers will pay the same money regardless of the chosen color, white or black. 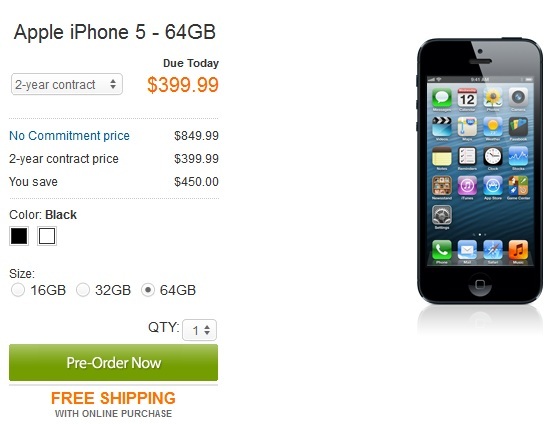 Also, AT&T presents on their website the prices for iPhone 5 smartphone. The prices are same as Verizon Wireless. After pre-order, “your iPhone 5 16GB will be shipped in 14-21 business days”. 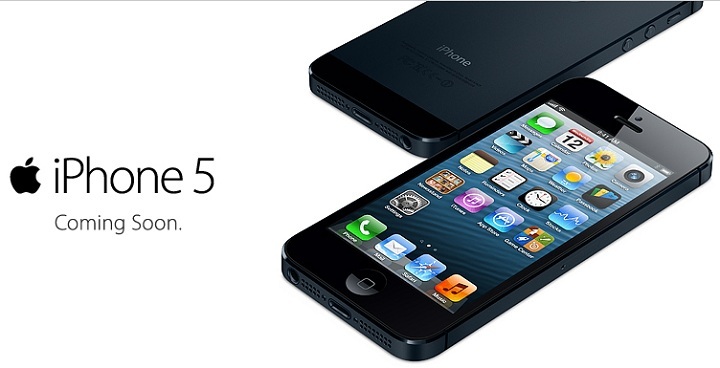 For both carriers, the new iPhone 5 is available also with free-contract for $649.99.